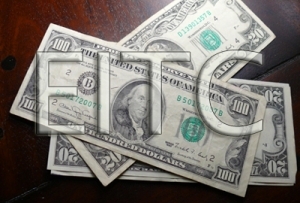 Today marks a little known “holiday”: Earned Income Tax Credit (EITC) Awareness Day. The IRS-led national event is intended – as the title implies – to spread awareness about this modest but vital tax credit and make sure that all qualified workers receive it. The day is as much about educating people as to what exactly the EITC is as it is about directing individuals to sites where they can get free tax help to claim the credit. For those that do, often for just two or three years, it can mean the difference between struggling for another year and getting back on your feet. In North Carolina, however, the day isn’t so simple. In fact it’s hard to find cause for celebration in the only state in the country to have eliminated the credit. There are plenty of individuals who are fully aware of what the EITC means for their own lives as well as those of their neighbors, despite its absence in the Tar Heel state. Last year, NC Justice Center staff spoke to individuals across the state that had been directly impacted by the credit and acutely felt the loss of the EITC. They talked about how the EITC arrived at the perfect moment in their lives: when they gave birth to a child with medical needs and struggled to pay hospital bills; when they were stuck in a low-wage job that wouldn’t allow them to save enough to pay off their debts; or when they were hoping to finally become a homeowner after relying on family and friends for shelter. These were all working North Carolinians. Their stories were familiar and at times heartbreaking. Some are still struggling, and others saw their families lifted out of poverty thanks in part to the EITC. They are the individuals who once relied on the EITC and urge policymakers to reinstate the credit – not only for themselves, but so that other families can feel the benefits. A few basic facts on the state EITC that bear repeating: it can only be claimed by working North Carolinians. The tax credit allows low-wage workers to keep more of what they earn – sometimes the difference is only $100, but it’s a small investment that makes a big difference. The credit has pumped $108 million into local economies across the state. It helps families pay for basic necessities. More than 900,000 North Carolinians claimed the EITC in 2012, and it helped the lives of nearly 1.2 million children whose working mothers and fathers earned low wages. The credit let parents keep more of what they earned, pay bills and their debts, and cover the cost of child care. Despite all of the positive and often life-changing qualities of the EITC, one disheartening fact remains: although there is still a federal credit, North Carolina lawmakers allowed the state credit to expire at the end of 2013. Refusing to change course, they failed to reinstate it the following year, further shifting taxes onto low-income families by cutting taxes for the wealthy few. So this year’s EITC Awareness Day is of particular importance. It not only marks 40 years since the credit’s enactment in 1975, it also comes at a time when reenacting the EITC could make all of the difference for working North Carolinians and their children. It comes at a time when families are struggling to make ends meet and the state is cutting support for vital investments in public education. It is also at a time when a new proposal appears to be gaining traction that would eliminate North Carolina’s taxation of profits from selling high-end items that relatively few people own. It’s part of a larger effort to radically alter North Carolina’s tax system, to the benefit of the wealthy and the detriment of everyone else. Eliminating capital gains from state income tax would reduce annual state revenue by $520 million on top of the $1.1 billion revenue loss caused by the 2013 tax plan, meaning even less revenue for public investments that promote economic growth and economic well-being. The push for capital gains tax breaks highlights the upside down nature of the Tar Heel state’s tax system and why the EITC is more important than ever. Not only will the state struggle to raise adequate revenue to fund schools and health care, but the inequality gap will continue to expand. Reinstating the EITC is a start in helping offset inequality. It presents a tremendous possibility for the state just as the legislative session goes into high gear. What better way to celebrate EITC Awareness Day than urging policymakers to make strides to help recover this crucial tool? Well let’s hope this inspires many who need this credit to move to those utopias that still have the tax credit. Maybe you could create a list so we know where to move?